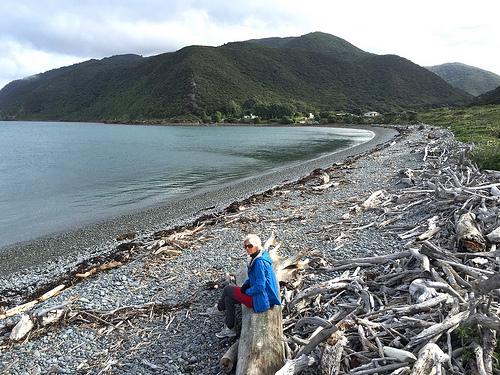 Not many travellers get to experience one of New Zealand’s most precious predator-free nature environments! 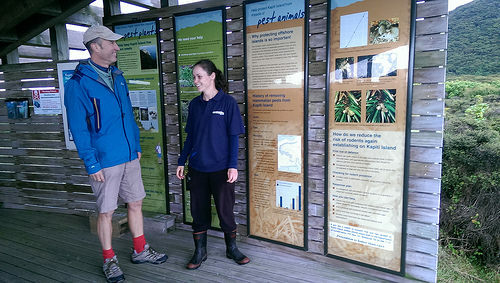 The Kapiti Island Nature Reserve is located near Wellington, only a 20 minute (5km) boat ride from the mainland of the Kapiti Coast. On this small eco-tour, you’ll get to explore the northern end of the Island with only native birdlife for company! 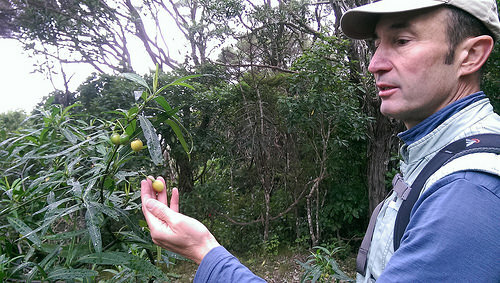 Due to New Zealand being so isolated, it has developed a unique variety of flora and fauna which cannot be found elsewhere. When the British colonists arrived and introduced a variety of species, this played havoc with the native ecosystem. Native birds, many flightless, were particularly vulnerable to possums, stoats, and rats. 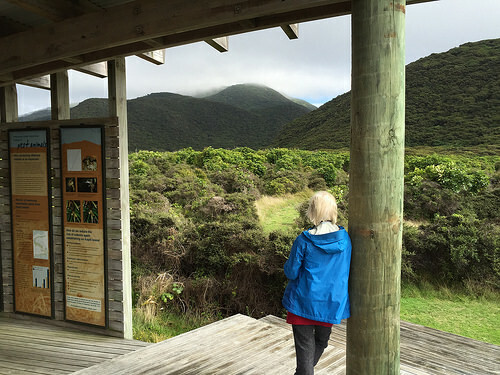 The predator-free islands such as the Kapiti Island Nature Reserve are part of the nation-wide project by the Department of Conservation to boost dwindling numbers of native species. As an archipelago New Zealand is home to hundreds of uninhabited off-shore islands, many of which are only a few miles long. Many resources have been put into ridding these island of introduced species, so that the breeding of native species can flourish. In total, DoC manages over 220 of these islands, with 50 of these now nature reserves that the public can visit. Kapiti Island is the oldest of New Zealand’s nature reserves, having been managed by the government for over one hundred years. It is one of the most popular to visit owing to its proximity to Wellington. 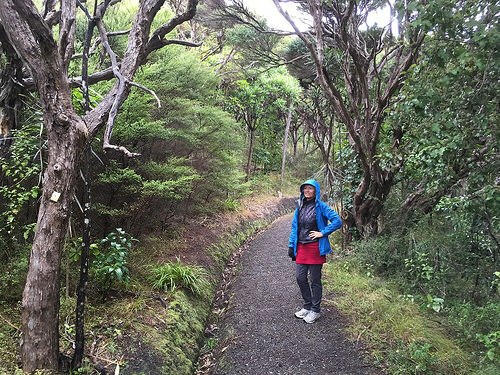 The island is covered by acres of regenerating native forest, and home to a rich variety of native wildlife. You have the chance to get up close to well-loved birds such as kaka, Tui, Kakariki, Kereru, and even little spotted kiwi! Owing to the purpose of these islands, there are some very strict bio-security rules for visitors to help protect the native wildlife. Look at the online guide for more details. 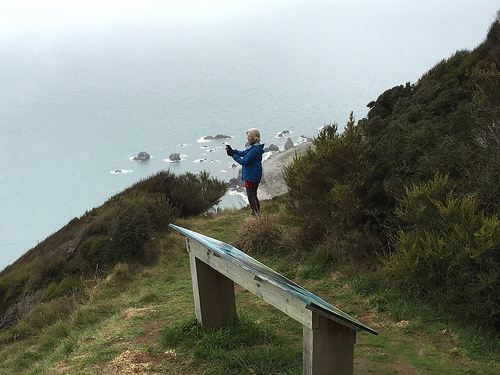 As a nature reserve, only approved tours are allowed to run to Kapiti Island. 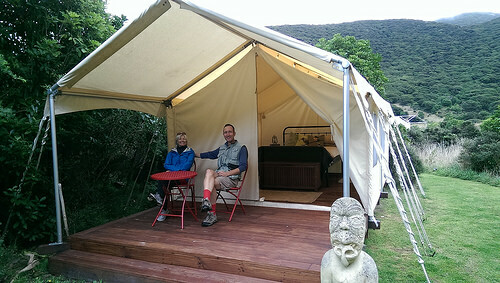 The owner/operators of Kapiti Island Nature Tours run the only commercial operation at Waiorua, the northern end of the island. They offer two different tour options. 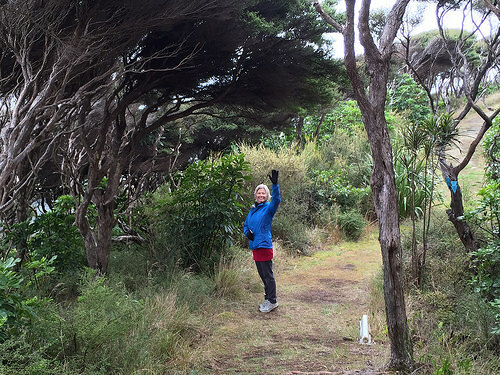 The day tour which includes a guided walk, lunch and ferry transport, and the overnight tour which gives you the chance to see a kiwi in its natural habitat! We chose their day tour and were really impressed with their guide, Andi. She loves her job, and made the whole trip a real pleasure. Our first stop was at the shelter for an orientation talk before our 3-hour loop walk. You really need to take a few moments to absorb scenery like this! 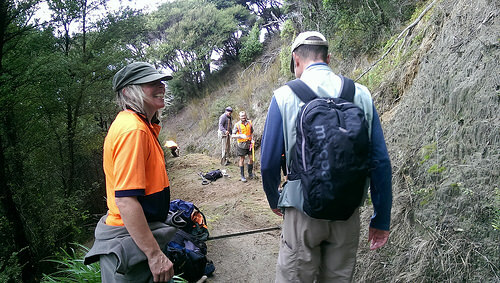 After the orientation, Andi escorted us to the first part of the walk and then we continued by ourselves. As you can see, the track is well defined and maintained. This makes it a tour that is suitable for all fitness levels, and for families with children. It’s hard to believe that only 50 years ago, part of the island was cleared farmland! It’s incredible just how quickly nature reasserts her dominance. 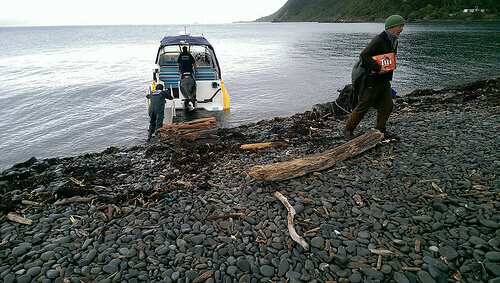 These regeneration efforts have been heavily supported by DoC, and one of the reasons why the island has such strict biosecurity. Here’s a plant that even the knowledgeable Michael could not identify! 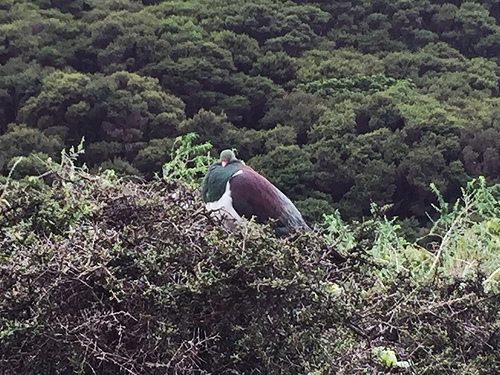 I was amazed at how fat and prosperous these Kereru were! Kereru are also known as the New Zealand pigeon. Their numbers declined sharply after European settlement, but projects such as Kapti Island are helping to boost their settlement. Part of the loop walk took us next to the cliff face and although the sun stayed hidden, the moody coastline was stunning! So don’t worry if you don’t get a perfect sunny day; the photo opportunities will still be excellent. On the way back we paid our respects to the hardworking DOC workers. These guys do such a great job, and what a cheerful bunch! After lunch we took a wander down the beach so that Michael could catch a few Zen moments. 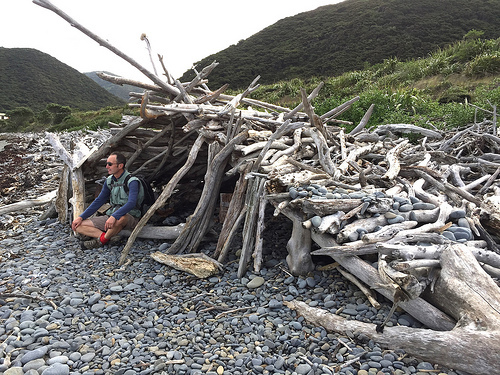 The Kapiti Island Nature Tour is an authentic nature experience that forces you to slow down and beat to a different drum. It was truly a privilege to see all of this native wildlife thriving. The island welcomed us, as did the locals and we’d love to visit again. 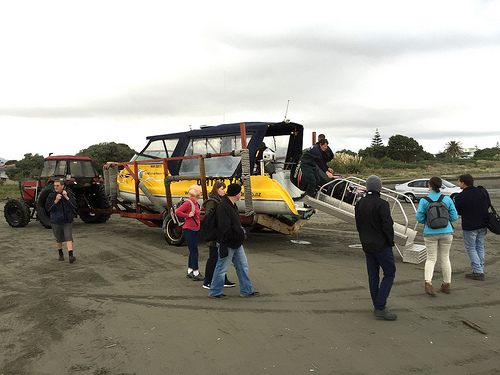 Time to say goodbye to those Kereru! For more authentic New Zealand nature experiences, see our dedicated nature and lifestyle itineraries.